Before :- Dr. B. S. Chauhan and Swatanter Kumar, JJ. Cri. Appeal No. 1107 of 2006. D/d. 09.06.2011. Dr. B. S. Chauhan and Swatanter Kumar, JJ. - The sole accused/appellant Akkamahadevi was charged with an offence punishable under Section 302 of the Indian Penal Code, 1860 (in short the 'IPC') The prosecution story was that the accused had developed intimacy with the Planning Officer, Krishnamurthy (PW-13), resident of Shimoga. She was shifted to Thirthahalli, wherein she was working as a 'Cook' in a hostel. In Shimoga, Saraswathi, the deceased had become friendly with her and was having an affair with PW-13. In November, 1993, PW-13 told Akkamahadevi, accused to bring Saraswathi to Thirthahalli on the night of 7th January, 1993, so that all the three could go to Udupi, Goa and other places. In view of this, the deceased came to Thirthahalli and was staying with the accused at her house. On the pretext of cleaning the deceased's ornaments, the accused took her ornaments, put them in soap water and kept the container on a shelf. The deceased took bath and was having a slight fever. Thereafter, she sat before the fire in the oven situated at bathroom to warm herself. At that time the accused came from behind and gave a blow on her head, and pushed her into fire. Resultantly, saree of the deceased caught fire and even thereafter the accused pushed again her into the fire. The deceased managed to get up but by that time she had been completely engulfed in the flames. Back of her head was bleeding. Even in that condition, she chased the accused, who had already ran out and was standing on a platform at the coconut tree in front of her house. Hearing the noise of the deceased, neighbours of the accused PW-1 Thimmappa Shetty, PW-2 Bhaskaran and others came and extinguished the fire on the body of the deceased. At that point of time, she was shouting that her ornaments had been taken by the accused. She even told the people, who had gathered, the above story. PW-1 went to a nearby hotel and made a phone call to the police, PW-18 the Investigating Officer accompanied by police constable came there. She was shifted to hospital where she was examined by PW-17 Dr. G.D. Narayanappa and was given treatment. Her statement was recorded by the Investigating Officer as per Ex.P-11 and after returning to the police station at 11.30 p.m. he registered a case against the accused under Sections 302 and 380, IPC. Later the deceased died. 1. Acting under Section 235 of the Cr.P.C., accused is acquitted for the offence punishable under Section 302 of the I.P.C. 2. Bail bond of the accused shall stand cancelled. 3. MO's 1 to 7 are ordered to be returned to PW-8 Srinivisa, who is elder brother of the deceased, and other MO's being worthless are ordered to be destroyed after appeal period." 3. 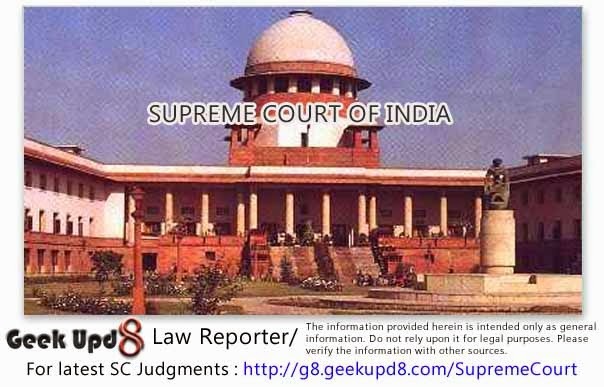 Against this judgment of acquittal, the State preferred an appeal and the High Court vide its judgment dated 4th November, 2004, allowed the appeal, set aside the judgment of acquittal finding accused guilty of an offence punishable under Section 302, IPC, awarded her life imprisonment and to pay a fine of Rs. 1000/- and in default, to undergo simple imprisonment for three months. Aggrieved by the judgment of the High Court converting the acquittal into conviction, the accused/appellant has filed the present appeal. "She had 90% of 2nd degree 90 to 100% burns. She was fully conscious. Saraswathi gave history that Akkamma set her on fire." 5. The above circumstance clearly shows that despite suffering 90 per cent. burn injuries of second grade, she was conscious and was able to talk to the doctor. Thereafter, she was given treatment including calmpose so as to reduce her pain resulting from the burn injuries. The doctor has clearly stated that he was present in the hospital when the police arrived and immediately thereafter Ex.P-11 was recorded. The doctor has fairly stated that he had given one calmpose to the deceased for sedation. The argument raised on behalf of the appellant is that once calmpose was given to the deceased, instantly she would be unfit to make any statement. This does not appear to us to be correct. The learned counsel for the appellant has been unable to support his contention by any medical literature. Normally, calmpose would not make a person instantly unconscious or instantly sedate him to the extent that the person would not be able to speak. The object was obviously to suppress the pain and not render the deceased unconscious. In the present case, there are three persons, police officer, the doctor and the nursing staff, who were present when Ex.P-11 was recorded. The collective reading of Ex. P-9 and P-11 clearly implicate the accused to the entire occurrence. 6. In fact, the accused was examined under Section 313 of the Cr.P.C. In her statement under Section 313 of the Cr.P.C. the Court had put as many as 44 questions to the accused bringing out the entire incriminating evidence against her to her knowledge. She only took up the stand of mere denial and said nothing more. She led no defence. In fact, she even went to the extent of stating that it was false to say that the deceased had died. This conduct of the accused is certainly strange. Surely, a statement made under Section 313 cannot be the sole basis for convicting of an accused but it is a relevant consideration which the court may take into account, while examining the case of prosecution. In our considered view it was expected of the accused to give some plausible explanation of the entire incident particularly and admittedly when the deceased had come to her house, had caught fire and subsequently died when she was taken by the accused to the hospital. The complete denial of the accused under Section 313 Cr.P.C. further buttresses our conclusion that the prosecution has been able to establish its case beyond any reasonable doubt. Therefore, we find no merit in the appeal and the same is dismissed.